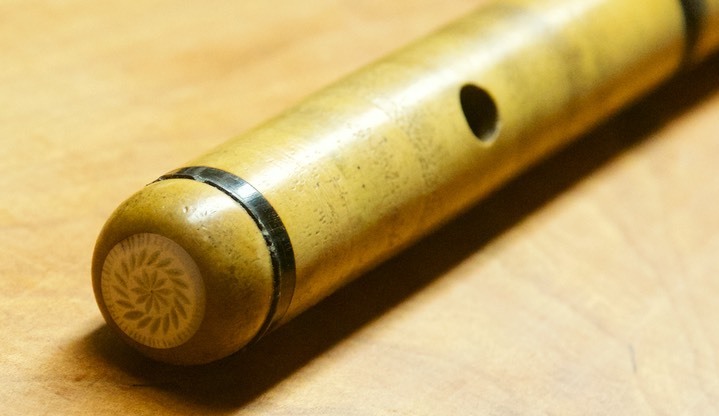 Notes: The first known flute maker of the family was married to one of the Hotteterre family. 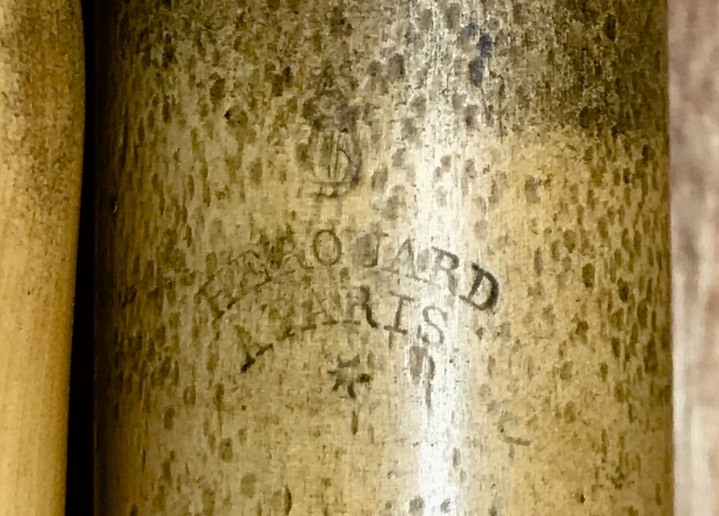 The mark on this flute appears to be an unlisted version of the first mark. Probably made c. 1825. 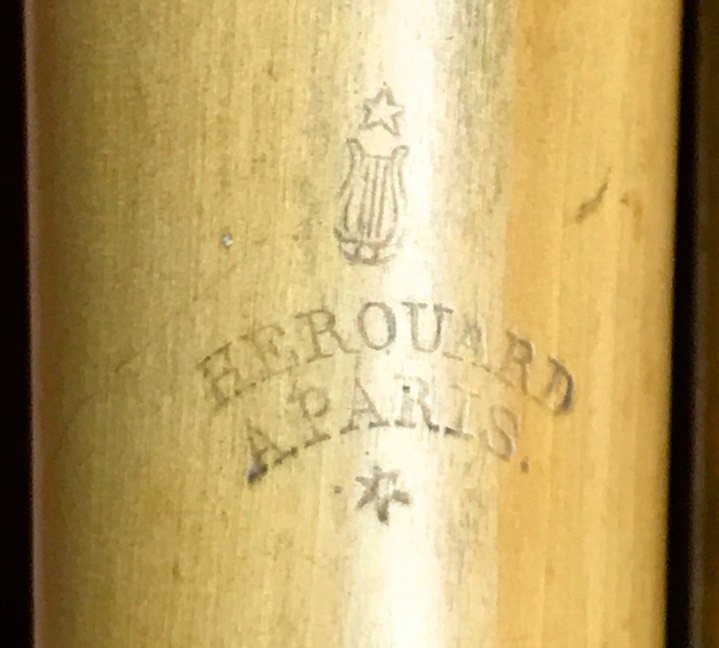 The wood of the head joint has clearly experienced some strange damage but in trying it on another working flute, it is quite excellent.